Kintz Electric "The Bright Choice!" Please feel free to look around to see what all we have to offer. 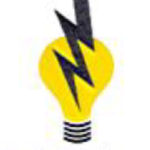 We’re happy to assist you with all of your electrical needs! Established in 2000, Kintz Electric is owned and operated by the Kintz brothers, Rob & Mike Kintz. We service Residential, Commercial, and Industrial. Submit a request for an appointment here.